What Next, As Facebook Use in UK Universities Continues to Grow? On Tuesday a headline in the Guardian announced Facebook raises price range ahead of IPO with the article describing how “Facebook has increased the price range of its stock in what will be Silicon Valley’s biggest-ever initial public offering to raise more than $12bn (£7.4bn), giving the social network a valuation that could exceed $100bn“. What will the reaction be after today’s IPO launch? I suspect that my Twitter network will be talking about a bubble which is about to burst (if the shares go up in price) or will gloat if the price goes down. I don’t expect people to say “the financial injection can support developments which will be beneficial to use of Facebook within higher education“! But how widely used is Facebook within higher education? And are the trends suggesting that usage has peaked, with users becoming disillusioned with social networks such as Facebook or, perhaps, moving to other services, such as Twitter – as the recent announcement in the Guardian that “Twitter now has 10m users in UK” with the “UK [being] the fourth-largest country for Twitter users in the world, with 80% accessing it with mobile phones” may suggest? In order to gather evidence to support discussions on the relevance of use of Facebook in the higher education sector a survey of Facebook usage, determined by links for institutional pages, has been carried out for the 20 Russell Group universities. This survey follows on from previous surveys carried in in January and September 2011 which will enable trends to be detected. Note that the data provided in the following table is also available as a Google Spreadsheet. The data for the surveys was collected on 11 January 2011, 25 September 2011 (estimate) and 16 May 2012. The Facebook page for the University of Edinburgh has changed since the last survey. 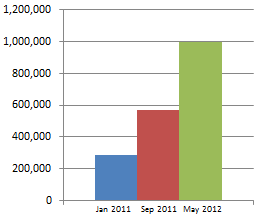 Figure 1: Growth in total nos. of Facebook ‘Likes’ for Russell Group universities. In brief in a period of eight months we have seen an increase in the number of ‘likes’ for the twenty UK Russell Group Universities of over 432,300 users with the largest increase, of almost 248,000 occurring at the University of Oxford. The largest percentage increase in that time has taken place at University of Glasgow, which has seen a growth of 1,346% from 1,860 to 27,149 and UCL which has seen a growth of 679% from 4,346 to 33,493. 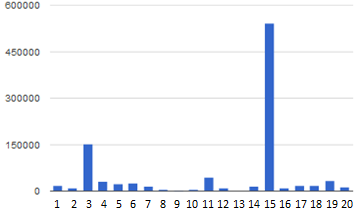 The overall trends are illustrated in the accompanying histogram. As can be seen this shows a significant growth in the overall number of Facebook likes across the Russell Group universities. It should also be noted that according to Russell Group University Web site “half a million students are enrolled at Russell Group universities – one in five of all higher education students in the UK“. Although the numbers of Facebook likes will include members of staff and other interested parties, the data does seem to suggest that a significant proportion of students are using Facebook. There may be significant growth when six formers are deciding which universities to apply to. The ‘liking’ of a university may provide a bookmark which is not an indication of engagement with the institution. New students may like their new institution’s Facebook page when they arrive, but may not use the service during their time at the institution. Students may not unlike their institution’s Facebook page when they graduate, meaning that the number of Facebook likes will include people who have left the institution and may no longer use the service or have an interest in the information provided. In addition to the need to the interpretation of the data there will also be a need to make policy decisions which should be informed by such evidence, but may not need to be determined by the evidence. It may be that Facebook can be regarded in a similar way to mailing lists: people use them and gain some value from them but development work is likely to take place using other technologies. Alternatively the popularity of Facebook may mean that that it has a role to play as a platform for development of new services. As described in a post on Facebook and Twitter as Infrastructure for Dissemination of Research Papers (and More) publishers such as Spring are providing mechanisms for researchers to share peer-reviewed papers using Facebook and Twitter, so perhaps Facebook could have a role to play as a sharing tool which is embedded within institutional tools. Alternatively might Facebook have a role to play in more significant development work. The initial popularity of the Guardian’s Facebook app suggested that Facebook could have a role to play in sharing one’s reading activities across one’s networks, although more recent evidence, as described in a post on “Facebook Social Readers Are All Collapsing” suggests that Facebook apps which provide ‘frictionless sharing’ are declining in popularity. A more recent post TechCrunch post which described how Decline Of Reader Apps Likely Due To News Feed Changes, Shows Facebook Controls The Traffic Faucet provided a more thoughtful analysis of the reasons for the decline in usage, but also highlighted the dependencies which organisations will have in reliance on commercial companies whose business decisions may adversely effect organisations which rely on their services. The question “What next for Facebook use in UK Universities?” will be an interesting one. And with over half a million ‘likes’ will Oxford University be thinking about benefits which can be gained from such a large network? Alternatively will institutions such as Newcastle University with small Facebook networks shrug their metaphorical shoulders at such suggestions and argue that Facebook has no value to their teaching and learning and research activities? Or might the popularity of Facebook at Oxford and Cambridge Universities, which, as can be seen from the histogram, has a significant effect on the overall totals for Russell Group universities, simply reflect the brand awareness for these two institutions? What are your thoughts? And what evidence will you need to gather if you feel that alternatives to Facebook will have a significant role to play? Footnote: A follow-up post about a Survey of Institutional Use of Facebook has been published. This contains information about a survey in which we invite those involved in using Facebook to support institutional activities to provide details of their work. 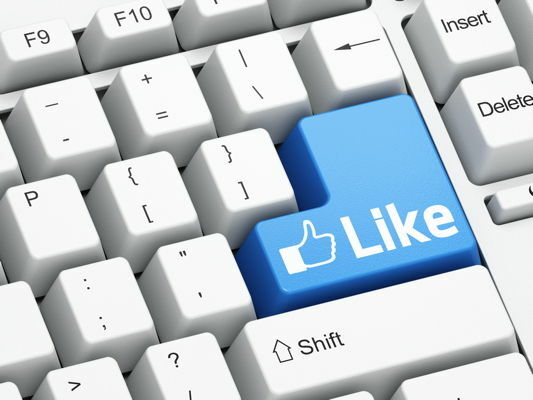 We invite people to complete this survey in order to provide a better understanding of Facebook use within the sector. Interesting to see these stats, but to gauge how successful universities are with Facebook you really need to look at other metrics around engagement, reach, influence, etc. You can have plenty of likes but very little engagement and measuring likes is very much like judging a web page’s success based on simple page view numbers – a very raw measure that doesn’t tell you an awful lot. There are plenty of articles out there on which metrics to use but this one is a useful starting point: http://allfacebook.com/facebook-metrics-essentials_b86156. I’d also add that it’s not necessarily a problem having a Facebook page with followers who have left the University. It’s really important for us to keep in touch with alumni and Facebook is a really good way of doing this, especially with an increasingly international student body. It also allows prospective and current students to connect with former students. Main challenge is around producing content that appeals to these different audiences and ensuring that you mix up what you are putting out to engage effectively. Longer term, more segmentation is probably what’s needed with different channels per audience but with most universities having limited resources to manage these channels that’s far from straightforward. Thanks for the comment. I agree with you that there are a range of additional metrics which can be analysed in order to measure the effectiveness of Facebook in fulfilling the purposes for which institutions are providing an institutional Facebook page. However I do not have access to such metrics. The purpose of this (and related) surveys was to get an overall picture across a selection of high profile UK universities. I would hope this (partial) evidence would inform policy and resourcing decisions decisions which will take place at an institutional level, as well as providing an understanding of the national picture. I would agree with you that students (and staff) who have left the institution but who are still connect with the institution’s Facebook page can be advantageous. Note that we do not have any sessions on this topics scheduled for UKOLN’s forthcoming IWMW 2012 event but there may be scope for some last minute changes, in you (or other readers) would be interested in facilitating a session on this area.